“Missing my beautiful boy so much, I want to die.” “I don’t want to go on living without my baby girl.” This is what I hear so often from grieving parents. It’s a feeling I remember. Not quite seven years ago, the death of my own child just about crushed the life out of me. What helped me was being mindful of my new mission in life, the special role of keeping a place for my daughter here on earth. I had to continue to live so she could be remembered. I would carry her, what was left of her, until I, myself, had to be carried out of this world. It would be hard. It is hard. 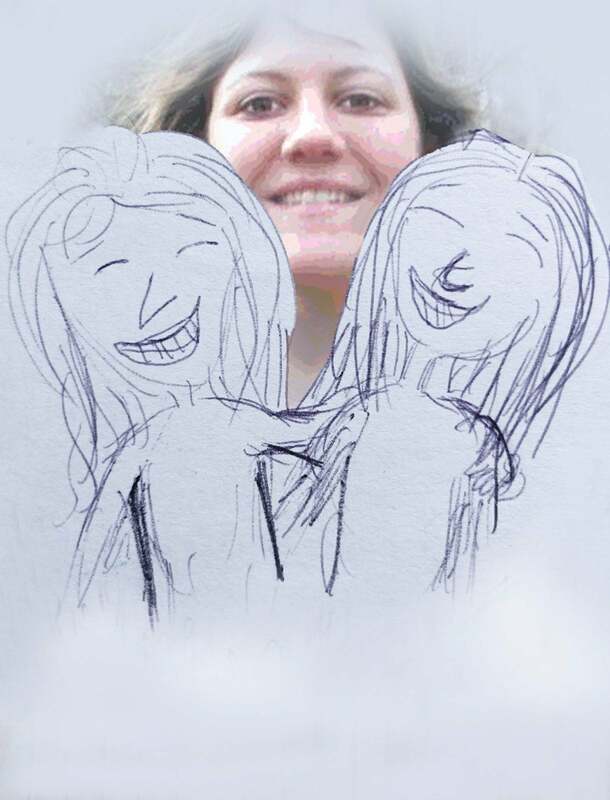 When you can no longer wrap your arms around the one you love, or send her extravagant care packages, you end up with love that has no place to go. Leftover love. It brings me quivering to my knees, to think of what love makes us feel and do. Remarkable things, both minuscule and monumental, have been accomplished in the name of love. Great monuments have been built, magnificent works of art produced, races won, foes conquered. Generous funds have been donated to humanitarian causes. Because of love, lives are created; lives are destroyed; lives are altered, for better or for worse. Love makes us talk to ghosts and sing to the moon. It makes us write words that melt others’ hearts. It gets us sending long letters into cyberspace. Trying to express our love, we wring our hearts out baking a cake, making an exceptional meal, or rubbing someone’s feet. Love makes us come home; it makes us leave home. It keeps some returning again and again to the person who beats them. Love blinds us to what we don’t want to know; and allows us to see beauty where no one else can. It makes us live on the edge of a dare; it makes us want to die. Look at all the energy gathered, even in the wake of love’s loss. What will you do with your leftover love? 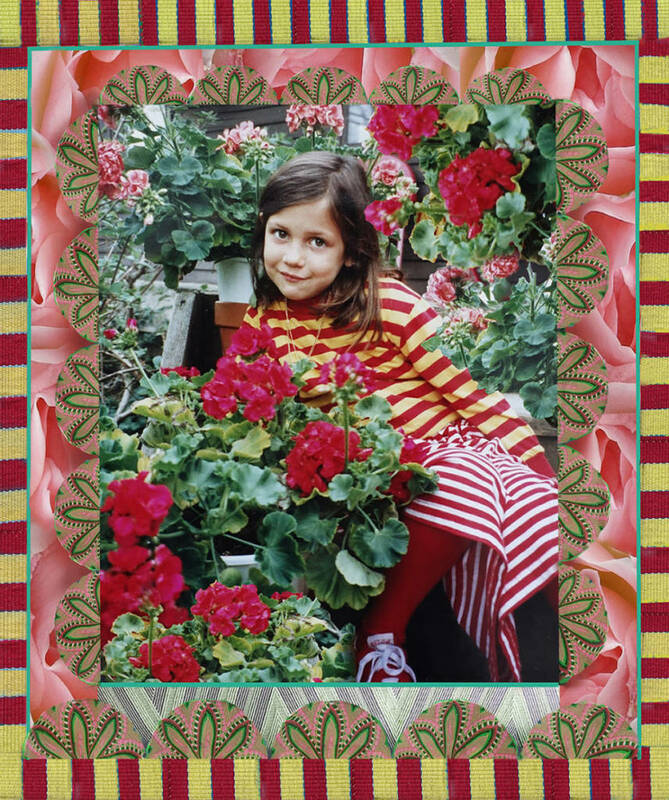 Dragging and dropping an old photo of my daughter into Photoshop, I paste a bed of bright geraniums around her. And hug her image with ribbons and roses, and anything I can come up with that reminds me of how love feels during the best times. I’m holding on with all my might to whatever is left of my daughter, to my love for her. Through the whole spectrum of love’s emotions, from happiness to pain, from pain to happiness, I stop at a million points in between. I wish I knew how to help the ones who say they don’t want to live without their loved one. The only thing I know for sure is love can rip your reserves to shreds. Or it can fuel your most magnificent dreams. What did you, or do you, do in the name of love? This entry was posted in 2018 and tagged can't live without you, dealing with death, hold on to what you love, I want to die, in the name of love, loss of a loved one, love makes you crazy, things we do for love, what love does to you on 2018/02/05 by Robin Botie.